A childhood trauma has left Lady Blanche Harrington incapable of all emotion, least of all love. Now circumstance demands she marry, and Blanche dreads choosing from her horde of fawning suitors. For one very eligible gentleman has not stepped forward. Raised as a pirate's daughter, Amanda Carre has not been tutored in the finer social graces. Alone in the world, she has never depended on anyone, until fate intervenes when Cliff de Warenne rescues her from a mob at her father's hanging. 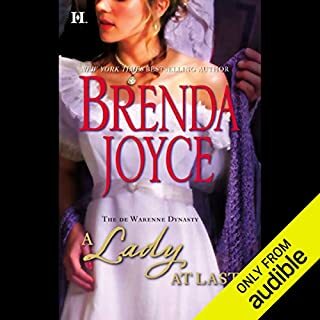 Now she must set sail for England to find the mother she never knew, and her chaperone is an infamous ladies' man. Amelia Greystone was deeply in love when the Earl of St. Just abruptly ended his courtship and left Cornwall ten years earlier. So she is stunned when Simon returns, recently widowed. Now she must forget the past they shared and his betrayal and console him as any neighbor would. Simon has changed - he is dark and haunted now - but he can still make her reel with a single look. When he offers her the position of housekeeper, Amelia knows she must refuse. But for the sake of his children, she throws all caution to the wind…. Torn from his Romany mother's arms as a small boy, Viscount Emilian St. Xavier has spent a lifetime ignoring the whispers of "gypsy" that follow him everywhere. A nobleman with wealth, power and privilege, he does not care what the gadjos think. But when the Romany come to Derbyshire with news of his mother's murder at the hands of a mob, his world implodes. Sean O'Neil was once everything to Eleanor de Warenne - but since he disappeared from his ancestral home, there has been no word, and even Eleanor has abandoned hope, promising her hand to another. Then, just days before her wedding, Sean reappears…but the boy who was once her protector is now a stranger, hardened by prison and on the run. Weary and haunted, Sean is shocked to find that little Elle has become the beautiful, desirable Eleanor. Though he refuses to endanger her by pressing his claim, his resolve to stay away is sorely tested by the determination of a woman who will not be forsaken again. 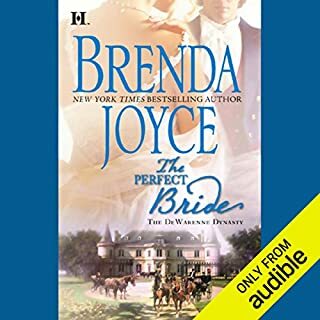 And when, in a moment's passion, Sean steals another man's bride, it is Eleanor who has the power to steal his heart…. 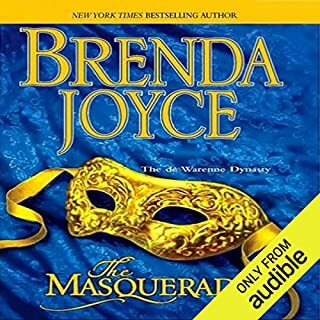 ©2006 Brenda Joyce (P)2013 Audible, Inc. 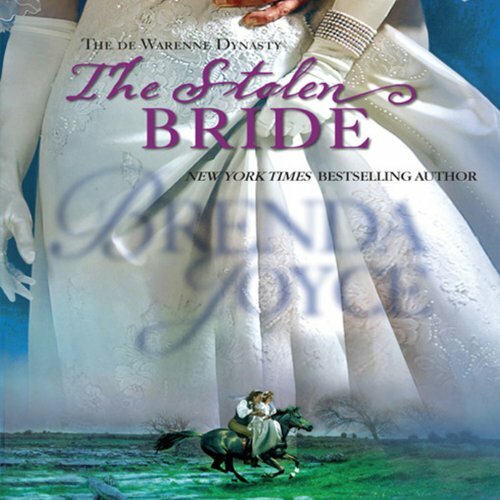 If you could sum up The Stolen Bride in three words, what would they be? The narrator did a good job, but a phrase or sentence repeated itself about ever 15 to 20 minutes. I couldn't listen for more than a half hour at a time. I have been listening off an on for the last three days. This will be the first book that I will use the option to return it. 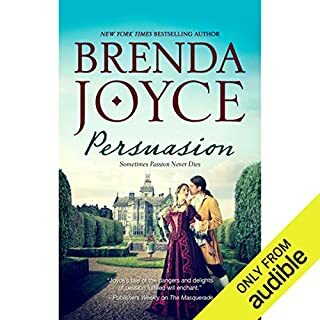 The repeated phrases were too distracting to enjoy as I have all the other Brenda Joyce. To much talking. I found it easy to put down but easy to pick up again. It dragged in a lot of places. I found the voice for L irritating, other then that the narrator did a good job. The story was good enough so this should have been a great book. I found both the hero and heroine whiney. TOO BAD.